My CHD book has been published! “There’s something wrong with your baby’s heart.” Those seven simple words changed our lives forever. We began our journey in the world of congenital heart defects (CHD) when I was twenty weeks pregnant with our first son, Corey. During the standard twenty-week ultrasound, the technician found that one side of our son’s heart was abnormally large. And so it began. A series of high level ultrasounds, test after test, consultation after consultation with specialist after specialist, all through an endless stream of tears and fear and sadness. A perinatologist who gave us no hope. A pediatric cardiologist, and then another and another, who gave us the ray of light that we needed to hang on. In medical terms, tricuspid atresia. A single ventricle heart defect, a hypoplastic right heart syndrome. In human terms, a life lived with half a heart. But a life worth living, in every way, if we could accept the challenge and fight for our baby. And so we did. Corey had his first surgery before he was a month old – the Blalock-Taussig Shunt. The second surgery came at less than six months of age – the Glenn. And finally, the three-stage reconstruction was completed with the Fontan when he was just four years old. Today Corey has completed third grade. He’s the teacher’s pet. He’s an A student. He plays baseball. Everyone loves this beautiful child who fought his way into the world and then fought his way into all of our hearts. I don’t know what the future will bring. Tomorrow is a promise to no one. But I do know that every single moment I have had with this amazing little person has been a gift. The present is bright, and I have every reason to hope that the future will be too. I am not a doctor, and this story is not meant to offer medical advice. Only medical professionals can provide medical advice. 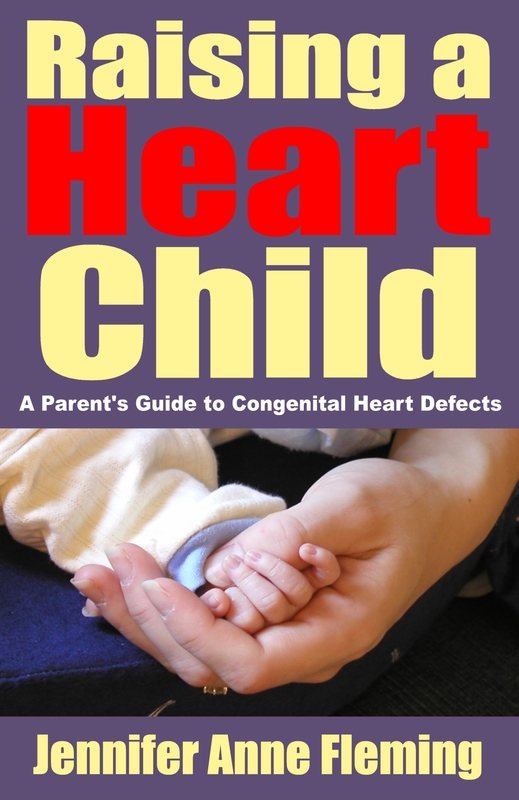 But I have lived this story, and these pages offer a firsthand glimpse into the life of a child with CHD, including everything that I have learned along the way. This is the book I wanted when we discovered Corey’s defect. It is a road map of our journey through the world of CHD. This is Corey’s story. Through it perhaps you can find hope for the child in your life who battles congenital heart defects too. And maybe some small comfort in knowing that you are not alone. Did that get your attention? The book I’m reading on publishing a book suggests that certain words will draw attention on the web. “FREE” in all caps in one of these words. Apparently if you scream this word at people, the masses will come flocking. Who knew? The book also suggests that smart people will read media about themselves, so I should feel FREE to refer to giants of the writing world. To this I say, “Hey! STEPHEN KING! Your name is in my blog post!” Think that’ll work? Okay, me neither. But I do plan to just randomly pepper my future posts with these attention-grabbing words, even if they turn my otherwise semi-coherent posts into gibberish. And tags too. I’m supposed to use tags to increase traffic to my blog. Look out for random tags! By the way, I FREE added some new fodder to the STEPHEN KING front of my blog. You can now find helpful FREE information in the “About Jennifer,” “CHD Links,” and “Corey’s CHD Timeline” sections. Hey, FREE kind of worked there. So STEPHEN KING, how do you like them apples?